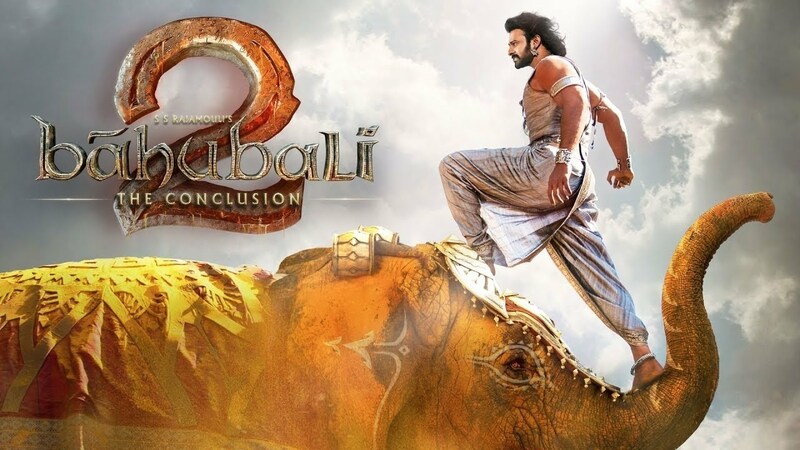 The most awaited conclusion of the Baahubali released this week , with around a whooping 8000 screens . Baahubali’s second installation continues with Kattappa narrating story of Amarendra Baahubali to his son Mahendra Baahubali. Awaiting his coronation, Amarendra is sent to tour the kingdom learn the current state of his people by Maharani Shivagami. Accompanied by Kattappa , Amarendra visits most of the kingdom and lands in the kingdom of Kuntala. He meets princess Devasena( Anushka) and falls in love. When Bhalladeva learns about this, he finds a way to manipulate this situation to his advantage and claims the throne. Even after claiming the throne he finds only Amarendra in the hearts of his mother and in the people of the kingdom. Soon he finds a way to kill Amarendra thru Kattappa and imprisons Devasena. How Mahendra Baahubali finds himself an army and fights Bhalladeva and becomes the King of Mahishmathi is the rest of the story. Adithya (Arvind Swamy) is a con man who swindles money from whoever he wants. Though coming from a Royal family, he became a pauper after his father lost all riches and the Government took over their kingdom after the countries’ independence. Once he stumbles upon a mystical scripture of a Sage “Bogar” with which one can swap body with another. Adithya uses this and makes huge heists and becomes filthy rich. But Vikram (Jayam Ravi), an assistant commissioner, is on to him after Aditya uses his trick on his father (Aadukalam Naren) who is a Bank manager. Vikram manages to capture Adithya but while interrogating him Adithya switches body with Vikram and escapes leaving Vikram behind in his body as the culprit in Jail. What happens next and what havoc does Adithya creates is rest of the story. 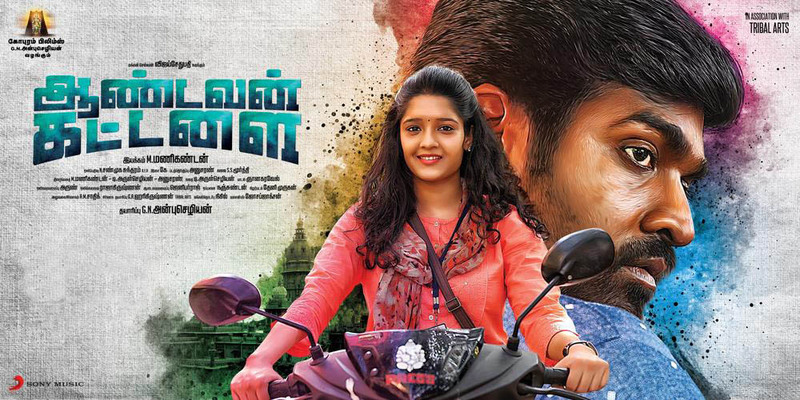 Gandhi (Vijay Sethupathy) is a young man living in a village near Madurai. His misfortunes in business leave him with lot of debt. To get out his debts he decides to go to Abroad to find a job and make money. He leaves with his close friend Paandi ( Yogi Babu) to Chennai to get a passport and apply his visa. Both of them get linked to a travel agent through his friend who falsifies his documents as a married man to get a London visa. Gandhi’s misfortunes follow him when he fails to get the visa and is stuck with falsified passport as a married man. He gets into more trouble to when he tries to clear his marital status, how he gets out of this is the rest of the story. 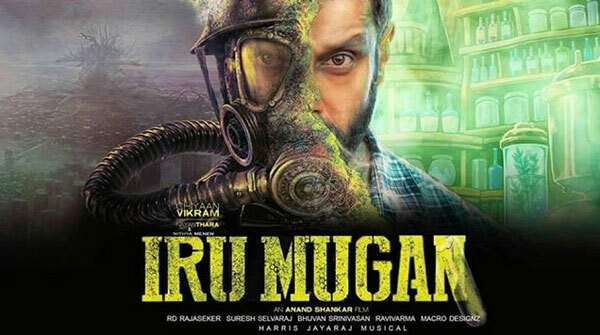 The movie starts in Malaysia inside the Indian embassy , where terrorist attack involving a super human drug is initiated. The incident connects a mad scientist and terrorist known as Love, who is assumed dead four years ago. To investigate this attack RAW agent Akhil Vinod (Vikram) is brought back into the force. Incidentally he was the agent who carried out the mission against Love earlier , but went rouge after his wife Meera (Nayanthara) was killed during the mission. How agent Akhil Vinod finds the terrorists behind this and stops them is the rest of the story. 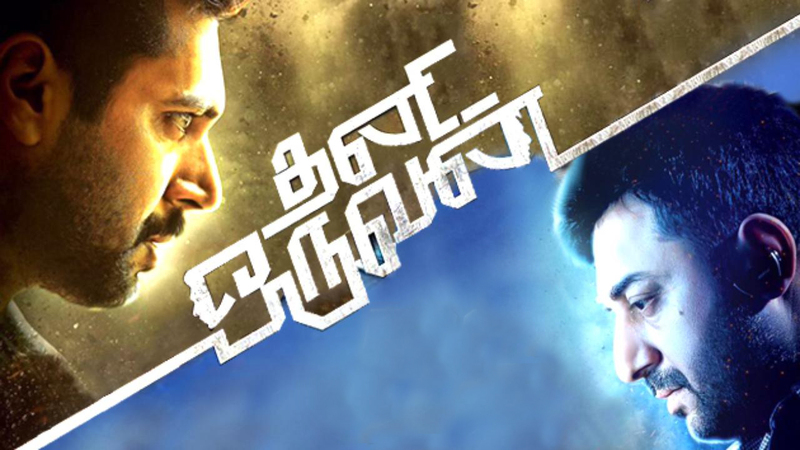 Mithran ( Jayam Ravi) is idealist cop in search for a worthy adversary. While in training , he and his friends in the camp play vigilante at nights and solve crimes . But Mithran is behind the big fish , who always manage to manipulate and stay far away from the reach of justice. He rounds up them to three main kingpins who are behind all these lawlessness. Once he takes charge , he chooses his team and begins to collect proof against them. While following these three, he Finally learns that they are controlled by a singular mind -Siddarth Abimanyu ( Arvindswamy) a scientist and a millionaire who is always a step ahead.How Mithran brings this criminal mastermind to justice is the rest of the story.